We really have outdone ourselves this time. Over the past few months, we hinted around that we were working on something exciting for The Odyssey Scoop. Today we’re proud to release what we’ve been working on for so long. One of our most ignored features—until now—has been given a new look and complete overhaul. Get ready for a brand-new Character Guide experience. 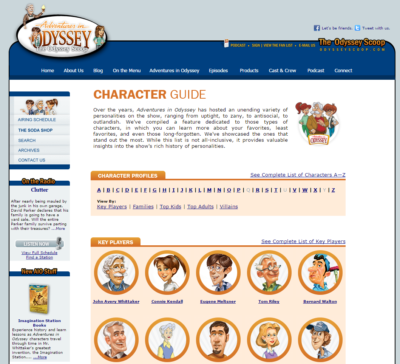 Over the years, Adventures in Odyssey has hosted an unending variety of personalities on the show, ranging from uptight, to zany, to antisocial, to outlandish. We’ve compiled a feature dedicated to those types of characters, in which you can learn more about your favorites, least favorites, and even those long-forgotten. We’ve showcased the ones that stand out the most. While this list is not all-inclusive, it provides valuable insights into the show’s rich history of personalities. 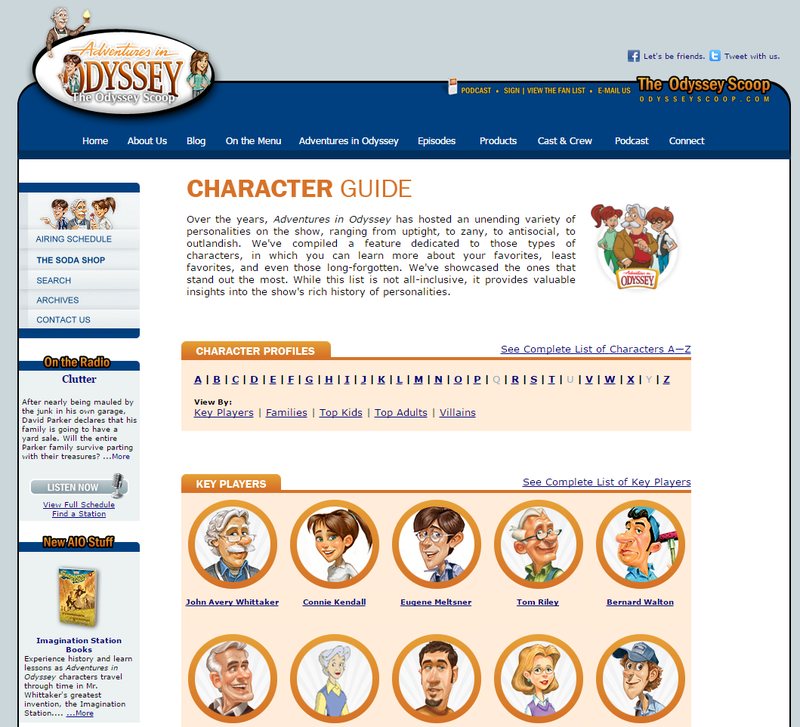 Complete with “photos” of characters, detailed character bios, and even fun facts, our newly-updated Character Guide will be a useful guide for Adventures in Odyssey fans. It’s organized very similarly to our popular Cast & Crew feature, so getting around should be a breeze. Feel free to explore and tell us in the comments what you think. Obviously, with such a large release, we’re probably unaware of some kinks, broken links, typos, etc. Feel free to make us aware of them so we can fix as soon as possible. And more characters to come! A big thanks to our friends at AIO Wiki for teaming up with us on this project!